From the creators of Nativity, the hit Christmas film starring Martin Freeman, comes their musical adaptation. I come from the unique position of having not seen the film, but that certainly does not mean that this adorably fantastic production is any less of a present! Nativity! The Musical sees Mr Maddens tasked with putting together that years nativity in a bid to help pull the school out of special measures. In a desperate attempt to impress, he promises that his former girlfriend, Jennifer, will visit from Hollywood. Coventry, the school and his children’s hopes fall onto Mr Maddens and the charismatic, though rather hapless, Mr Poppy as they seek to create their 5* nativity, and Mr Maddens tries to win back Jennifer. 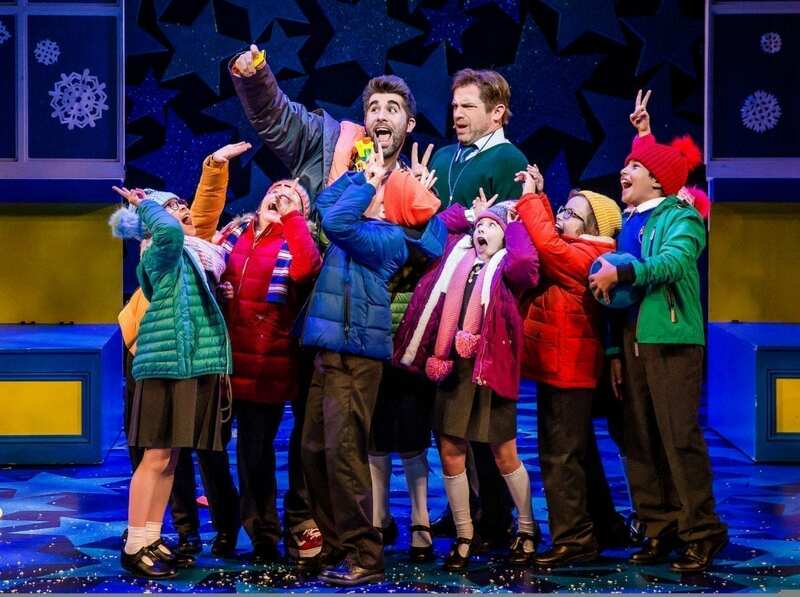 Simon Lipkin’s perfect portrayal of Mr Poppy acts as a lynchpin for the show. He is hapless and foolish; despite being brought into the school as a classroom assistant, he brings his own lunchbox and arrives on a scooter. But we root for him: he inspires and cares for the children, even though he is much closer to them in attitude. He works much like an audience’s friend, but considerably more empathetic and multi-layered as a character. He can go from delivering some of the funniest jokes of the show, to moving the audience with devastating effect when he tells one of the children that he has to leave. This pantomimical style works to great effect, but is expanding upon. 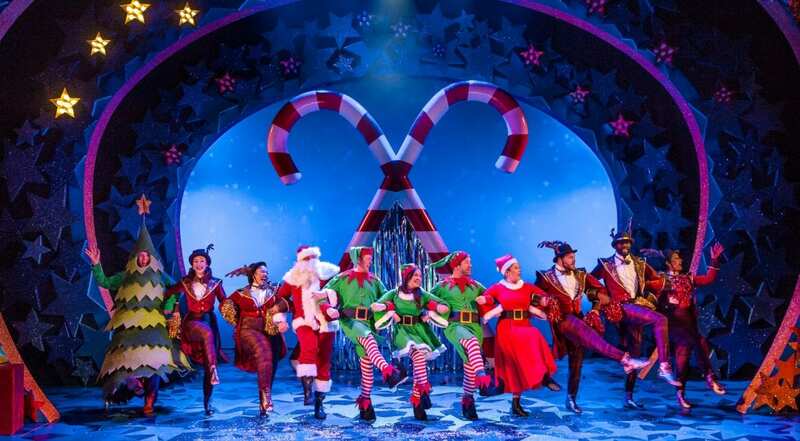 The show is entirely and wholeheartedly a musical, but the tropes of the traditional Christmas entertainment form fit incredibly well. Ridiculousness blends perfectly with the real – Mr Poppy enters one scene through a present used in the set, and the children follow after him. The audience booed Andy Brady’s Mr Shakespeare as he performed an inventive version of Herod The Rock Opera. 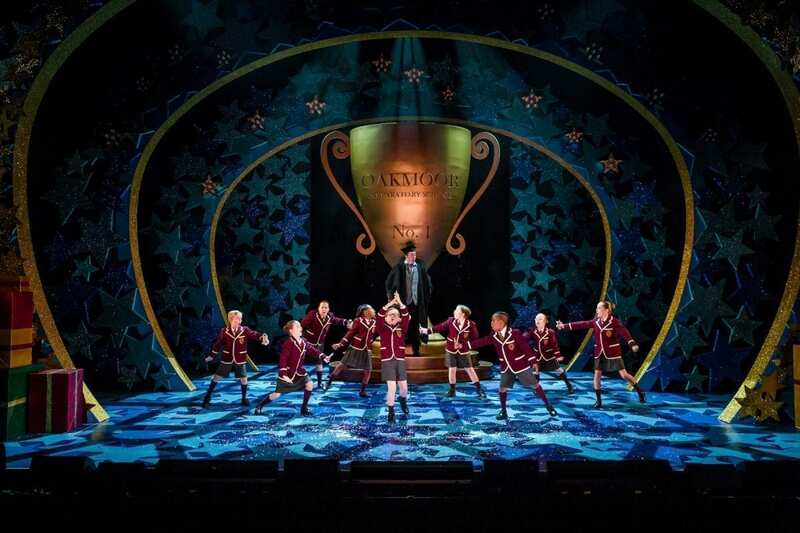 The children in the show get their chance to Sparkle and Shine in the 20 minute performance of the nativity itself which comes at the climax of the show. 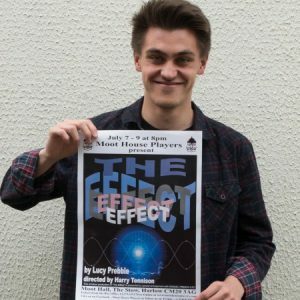 A combination of some extraordinary bits of David Woodhead’s scenery, projections and sheer commitment to previous throwaway jokes means that the performance truly ends on a triumphant high. The Three Kings are a boyband, the Angel descends from a 250 foot high Death Slide, there is a camel puppet, and an unwell – but adorable – puppy. Ager and Isitt’s songs work best here. The school numbers are not tight musically as those in Matilda, but they show the kind of background that the kids at the failing school come from. Their free-flowing and contemporary choreography contrasts with the stricter and more regimented movements of their rival, succeeding school. Hollywood Are Coming and then Welcome to Hollywood are great ensemble numbers, and Suddenly – sung by Mr Maddens and Jennifer – is truly lovely. Daniel Boys’ Mr Maddens was tender in his caring for the kids, and his acceptance of his mistakes provides the opportunity for the redemption of the play. He changes from a stuck-in-a-rut teacher, to an inspiring educator for the children, inspiring them in the performance and letting them having their chances to shine. Sarah Earnshaw’s superb voice combines with Boys’ in a marvellous piece of staging about their past, where they are mirrored by two of the younger children. It is these moments of performance which make this more than just another festive performance. Isitt’s production is nuanced and crafted in such a way that it can perfectly place emotion next to its narrative, and uses its humour to make us empathise and feel even closer. I would go again tomorrow. Cast includes: Simon Lipkin, Daniel Boys, Sarah Earnshaw. Until 12th November, then touring.